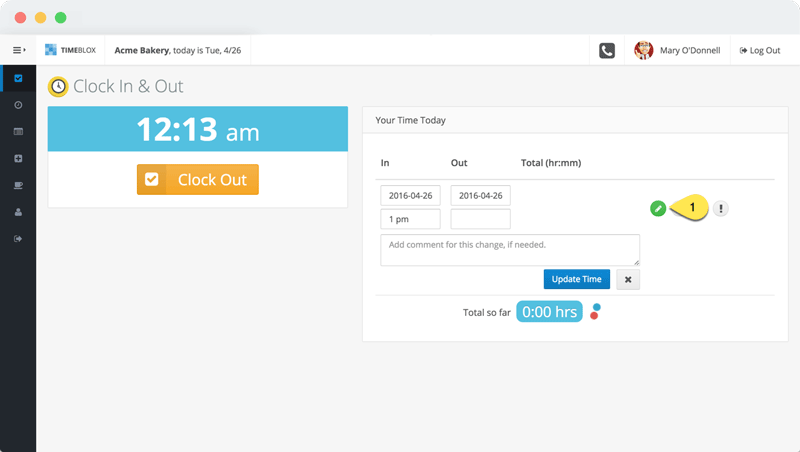 See how IDEAblox Time Clock helps your track hours for your employees and give you automatic payroll reports when you need them. Employees can only clock in & out from approved devices. Only the company admins or owners can approve which computers / devices can be used for employee clocking in & out. Once you log in, then the employee just select their name and enters their password to clock in. You only have to do this once, from that point on, that computer is always logged in as the company. 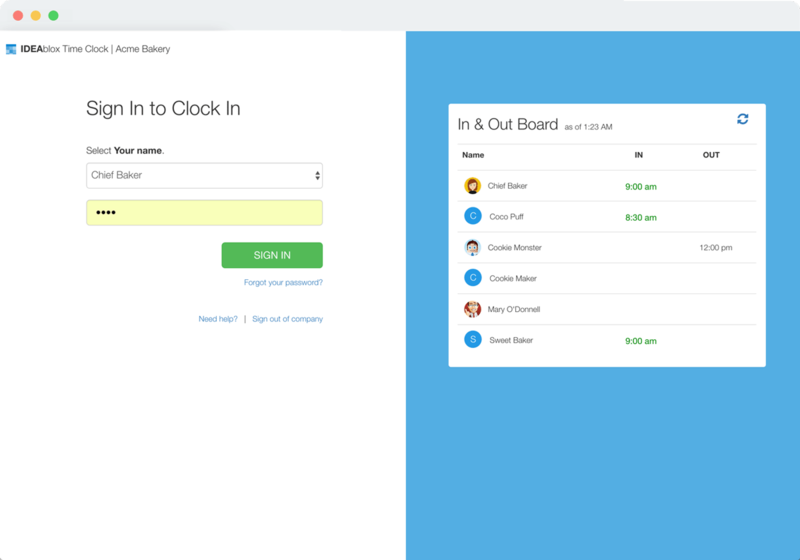 Super easy for employees to clock in & out. No training needed. Employees just sign in on any approved computers and click a 'clock in' button. The exact current time will be recorded. 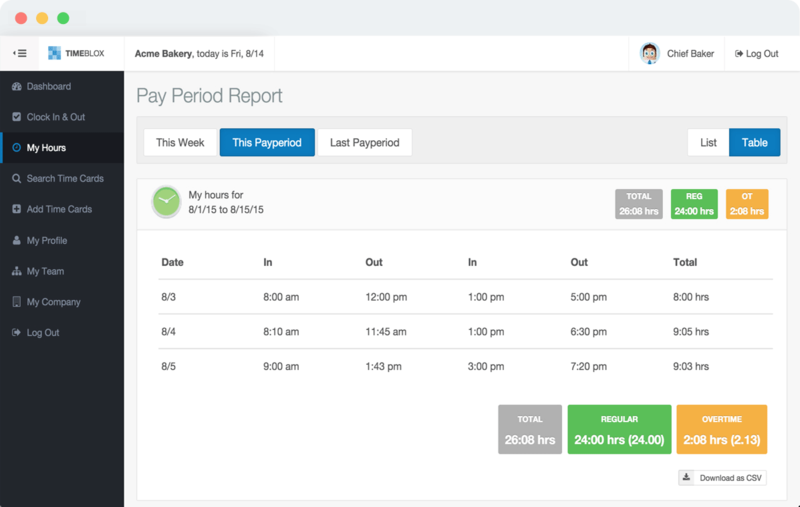 You can quickly see payroll hour reports by pay period or do a custom date range. Your employees can also see their own reports without getting you to do it for them. This is all designed to save you time. Based on surveys, this saves approximately 2 hours each pay period, which can easily cost you $40 each pay period. Our monthly price starts at $5. Allow employees to request time changes. This is a feature you can turn on, if you like. You can allow employees to request changes to their time card, then it'll come to you for approval. They will just click on the pencil icon to change the date or time to their time cards. See screenshot below. 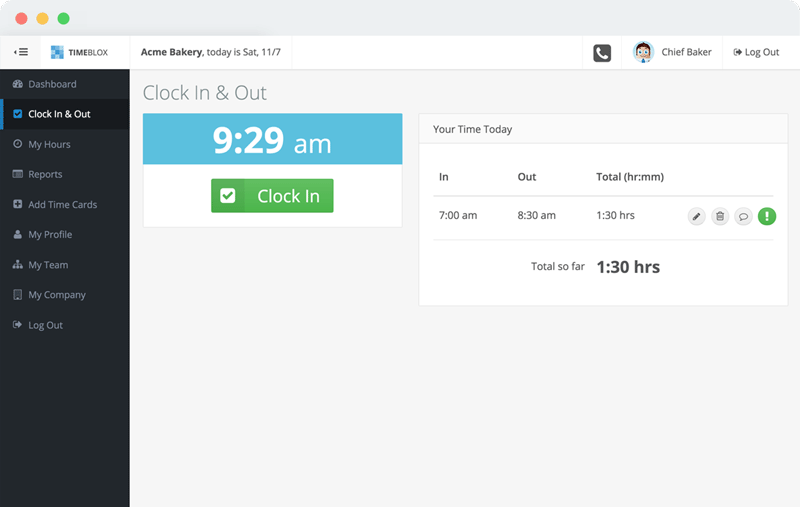 IDEAblox time clock tracks employees overtime based on your settings. No more manual adding up the hours and overtime with a calculator. It's accurate, so you don't have to keep double checking your math.